JUDGMENT DATE: 15TH JANUARY, 2019. LEAD JUDGMENT: AHMAD OLAREWAJU BELGORE, J.C.A. This is an appeal against the decision of the High court of Ekiti State. Count 1: Malicious damage, contrary to Section 451 of the Criminal Code Law, Laws of Ekiti State of Nigeria, 2012. Count 2: Stealing, Contrary to Section 390 (a) of the Criminal Code Law, Laws of Ekiti State of Nigeria, 2012. The Appellant pleaded not guilty to the information. In proving the charge against the Accused Person, the prosecution called five witnesses while the Accused Person called four witnesses and he also testified in his defence. After the adoption of parties’ respective Final Addresses, the learned trial Judge reviewed and evaluated the evidence led, found the two-Count charge proved beyond reasonable doubt and thereby convicted and Sentenced the Accused Person to three (3) months and Eighteen (18) Months imprisonment respectively for the two-Counts with hard labour which were to run concurrently without option of fine. Dissatisfied with the findings and conclusion by the High Court, the Appellant appealed to the Court of Appeal. Whether the Prosecution proved the offences for which the accused person stood trial beyond reasonable doubt warranting his conviction and subsequent sentence. 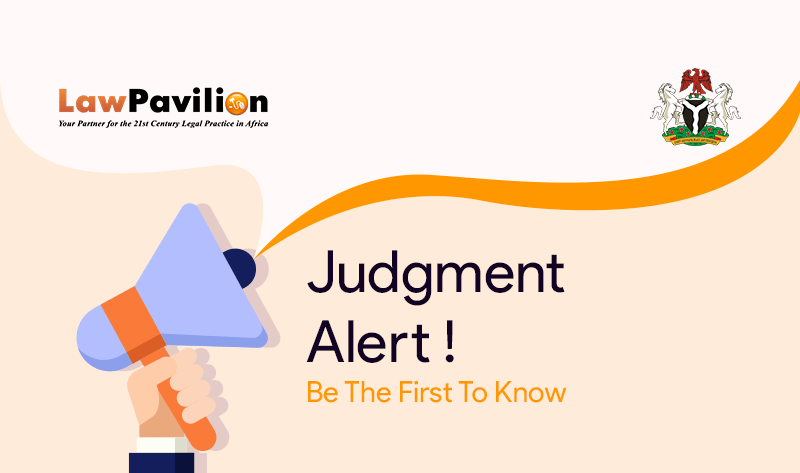 Whether the learned trial Judge did not occasion a miscarriage of justice when he found that the defendant did not successfully establish his alibi that he was somewhere else when the offences for which the accused Person stood trial were committed. On the whole, the Court found merit in the appeal and accordingly allowed same. The decision of the High Court was set aside. The Appellant was discharged and acquitted of the Criminal Charges against him.